See a list of wedding Jewelry Stores in PA. Places to buy wedding rings in PA.
For truly unique jewelry Diana Vincent's shop is a must-visit. 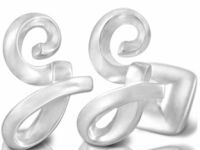 Each piece of jewelry is individually sketched by Diana and then created by master jewelers in her Bucks County workshop. Often called "wearable art" Vincent's jewelry is sure to turn heads and be a conversation piece. Wedding and engagement rings are symbols of the most important decision in your life and should be as special as the commitment they convey. There is no better way to show this than by presenting your spouse with a custom designed ring. Designer Wedding and Engagement Rings in Pennsylvania! 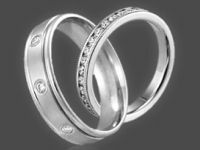 If you are looking to buy wedding rings in PA this jeweler, located just outside of Harrisburg, is the place for you! 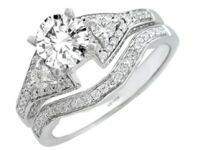 With an extensive line of wedding and engagement rings by a range of designers you are sure to find what you are looking for at this unique jewelry store. If you don't see something at the store that you like, then shop at Higashi's online store where you can design your own custom engagement ring! 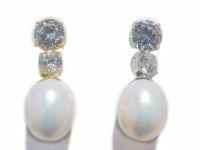 Higashi also has wedding tiaras and combs with Swarovski crystals and pearls, gorgeous wedding earrings and all other wedding jewelry. Higashi Jewelry is open 6 days a week. Professionally Designed Jewelry that will Last! If you are looking for the perfect engagement or wedding ring, Brent L. Miller's staff will be happy to help you make an educated decision about what type of diamond you are buying and will make sure you are getting exactly what you want. If you don't want to get an engagement ring from the large selection that is available, you can design your own! With 4 master goldsmiths/jewelers on site this jeweler is unrivaled in Lancaster County. These wedding jewelers in PA offer wedding bands in a variety of metals with custom hand engraving available. Located in Centre County, Confer's Jewelers has a huge selection of bridal sets, engagement rings and wedding bands. Family owned and operated since 1977, Confer's is dedicated to integrity, honesty and expertise. When choosing an engagement ring, be sure to check out their loose diamond selection and choose your own diamond to be set into your ring! The helpful staff will be able to help you choose the right diamond and cut for your ring. Choose a bridal set and give your fiancee a matching engagement and wedding ring! Open 6 days a week. 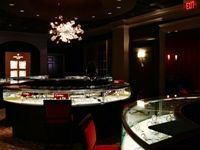 Find the Perfect Engagement Ring in Pittsburgh! With more than 50 years of experience, these Pittsburgh jewelers are experts in their field. Not your typical jewelers, Orr's specializes in diamonds and has a stock much larger than most jewelry stores. You are sure to find the right diamond here! Orr's offers a wide selection of engagement rings and wedding bands from a variety of designers. The knowledgeable staff can help you choose the right ring to express your love and commitment to your fiancee or spouse. Orr's also offers custom manufacturing, free cleaning, appraisals, and jewelry repair. Open 6 days a week.